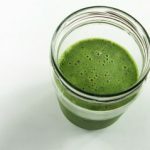 Yesterday, I wrote a post about the top 5 nutritional benefits that green smoothies have to offer, but I couldn’t include everything I wanted in one post. 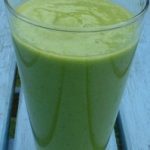 So today, I would like to talk about another 5 nutritional benefits that green smoothies provide you with. 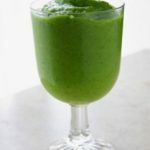 As always, you haven’t yet delved into the wonderful world of green smoothies, I would strongly encourage you to do so. You have nothing to lose, but your body has everything to gain! 1) Green smoothies are going to drastically improve your mental clarity and focus. It has been scientifically proven that those who follow a healthy diet are going to enjoy greater mental clarity and focus. For me personally, green smoothies have replaced my traditional morning coffee routine. In addition to greater clarity and focus, in removing coffee from my diet, I have also experienced significantly reduced levels of anxiety and nervousness. 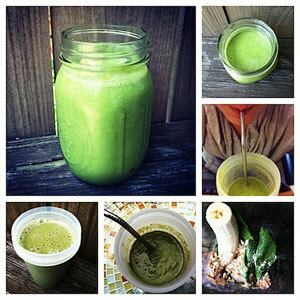 2) Green smoothies are going to provide your body with an excellent source of fiber. Unlike juicing, green smoothies incorporate the skin of the fruits and vegetables that you use. These skins are a valuable source of fiber. Fiber is an essential part of your diet when it comes to ensure that your colon is healthy and that your digestive system is in good working order. 3) Enjoy clearer skin with green smoothies! 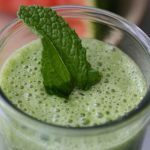 In recent medical studies, it has been found that those who follow a healthy diet, including drinking green smoothies, tend to have clearer skin than those who do not. Because the ingredients of green smoothies are rich in fiber, this fiber enables your body to remove waste through the bowels, rather than through your skin, which is going to result in less pimples and blackheads for you. 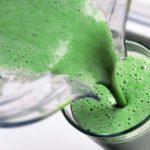 It is a guarantee that within few weeks of your new green smoothie drinking regimen, your new healthy glow will become obvious to you and others around you. 4) Drinking green smoothies will reduce your cravings for unhealthy foods. Green smoothies can be drunk at any time of the day. This means that you can use them for a healthy mid morning or mid afternoon snack when hunger cravings strike. Regularly drinking green smoothies is going to reduce your cravings for junk foods, sodas, salt, fat, and other unhealthy sweets. 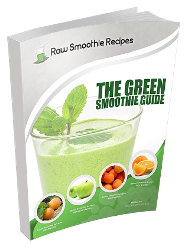 5) Green smoothies will alkalize your body. 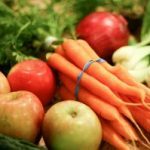 Finally, fruits and vegetables are considered alkaline foods and many health experts claim that consuming these foods helps maintain a proper alkaline balance in the body. Acid-producing foods items can raise the PH level of the blood, which can cause your body to leach calcium from your bones to neutralize it, thus increasing a person’s risk for developing osteoporosis.